I hope you enjoyed the videos from parts 1 and 2 of this post. So how do we overcome the “I need to think it over” objection? 1). Be prepared. Along with the price objection, the “I need to think it over” ranks among the two or three common objections that you will hear. You need to be prepared to handle this properly. Don’t be defensive. Don’t argue. 2). Ask questions. You need to uncover the real concerns. I agree with Annette Lackovic that 99% of the time the real objection is price. But sometimes prospects are either too polite or embarrass to tell you this, so they give you a smoke screen excuse in hopes that you will just go away. 3). Empathize. I agree with Alan Gordon that you shouldn’t use gimmicks or do a close. Forget the hard sell tactics. Most prospects are too sophisticated for that to work these days. You have to be more subtle in your approach. How? By following Mr. Gordon’s approach of agreeing with the prospect, summarizing what he said, and asking questions. Put yourself in the place of the prospect. This could be a major buying decision for him. After all, it’s only human nature that we hold onto our money. 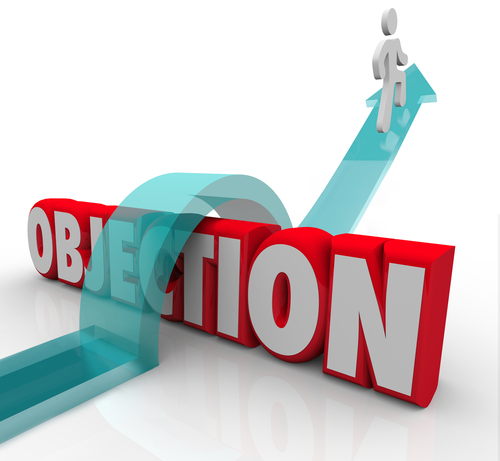 The “I need to think it over” objection is really like most objections we all encounter. By putting ourselves in the prospect’s shoes, and asking the right questions, we can uncover the real concerns and hopefully close the sale. This entry was posted in Cold Calling, Inside Sales, Let me "Think it Over" Objection, Sales Techniques and tagged Alan Gordon, Annette Lackovic, Let me "Think it Over" objection by DononSelling. Bookmark the permalink.